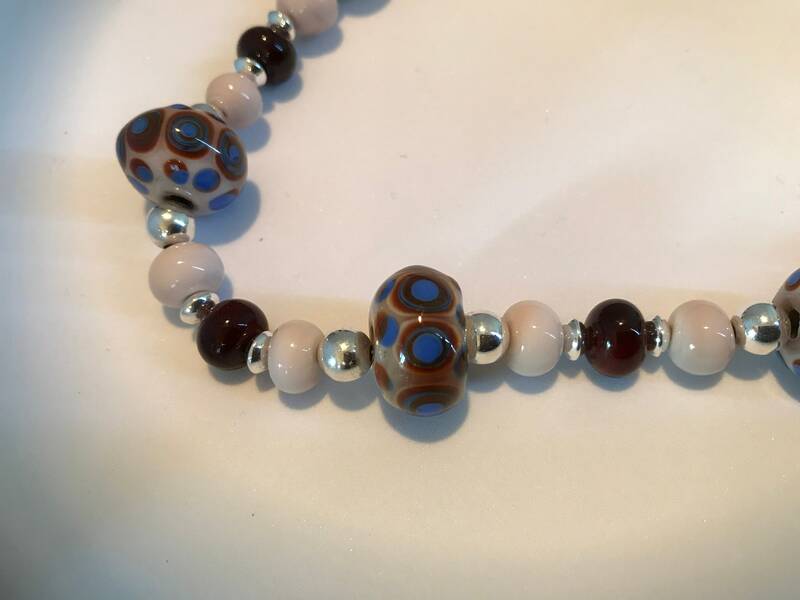 The artisan made flame work beads feature dots of brown and French blue on a base of cream. 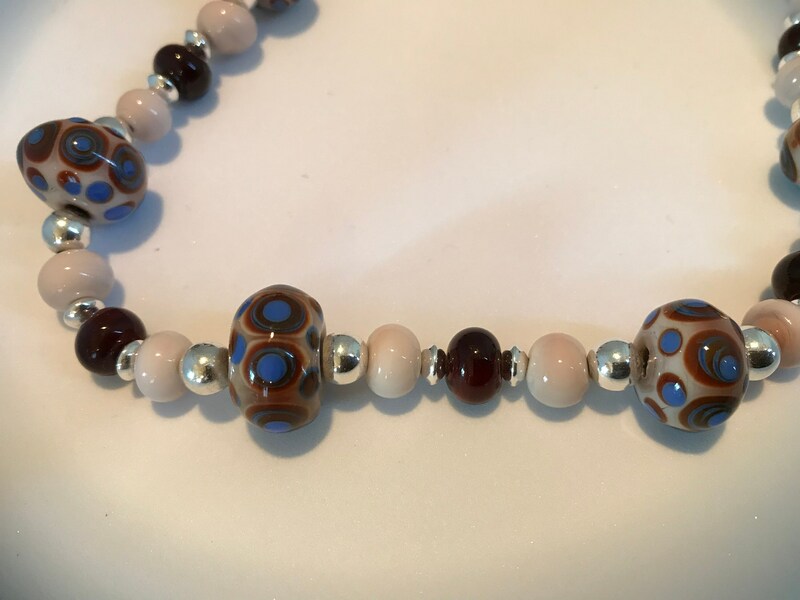 Cream, brown and Sterling silver beads add to the beauty of the 20 inch necklace. 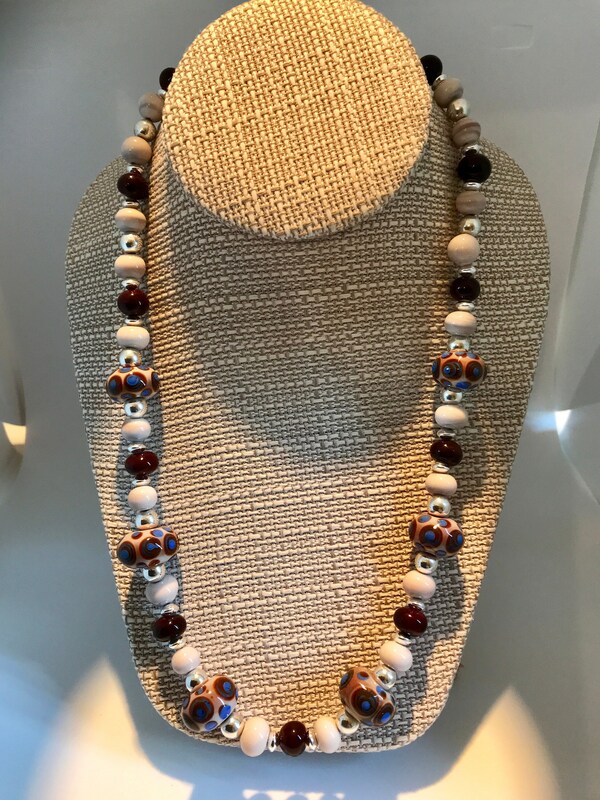 The cost is $139.